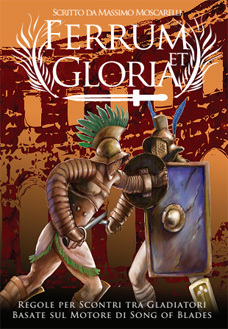 Ferrum et Gloria will be available in English & Italian language in pdf and paperback through various vendors. 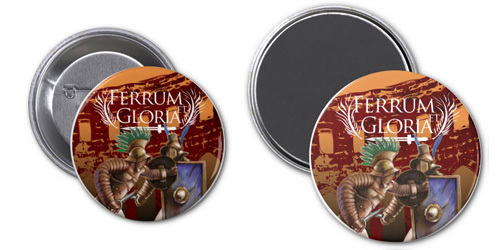 Check our store for merchandise based on our games. 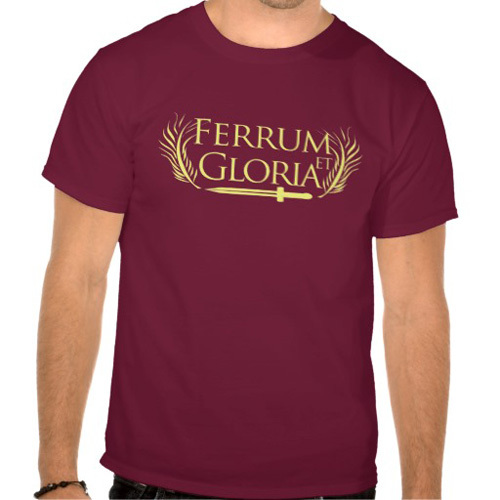 We have an entire line dedicated to Ferrum et Gloria. Every purchase on this site support Ganesha Games and helps us make more games. Mug with scissor vs retiarius. Toast to your victories, or have your opponents for breakfast with this two-tone mug (maroon interior – the colour of dried blood!). Buttons with the book cover. Wear this button before entering the arena! The crowd will cheer and you will look stylish. Magnets with the book cover. T-shirt with the logo. The dark red colour will hide your wounds allowing you to deal the final blow to your opponent.